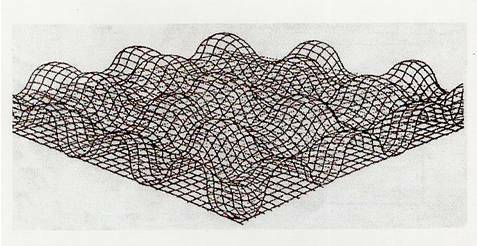 Geomat Erosion Control is a three-dimensional mat made from extruded and bi-oriented polyethylene grids. 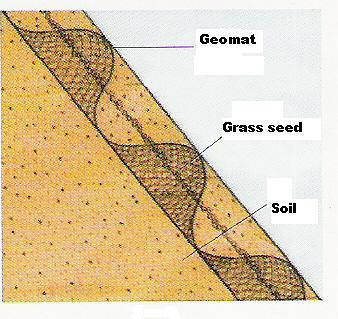 The underside of the mat is made flat to provide even contact with the prepared soil surface. The upper surface is made cuspated to provide excellent soil retention. 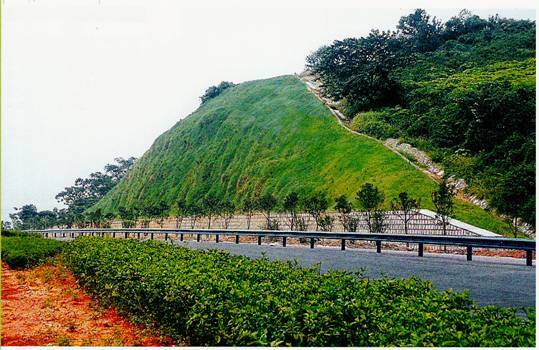 The three dimensional structure retains a layer of top soil and anchors the growing grass roots thus providing a stable surface highly resistant the forces of rain drops and run off.